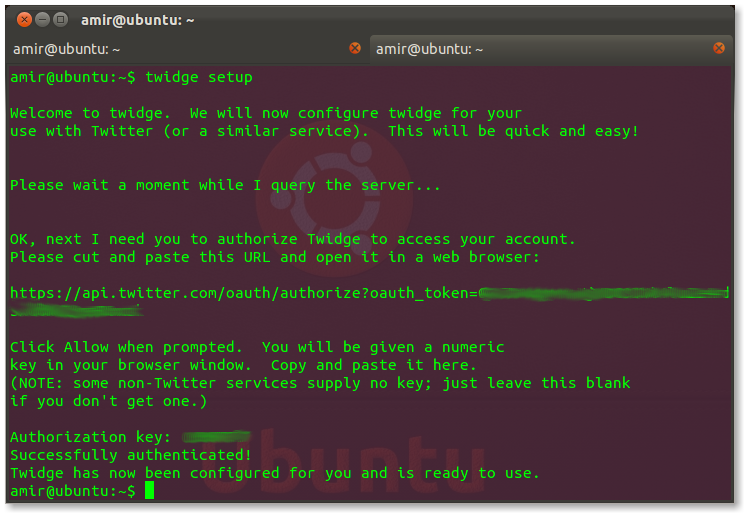 Twidge is a terminal client for microblogging sites such as Twitter and identi.ca. 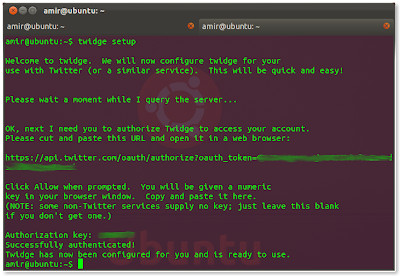 Twidge is a full command-line client. It is designed to be useful when you’re sitting at a shell prompt. 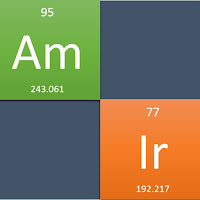 It produces output in well-formed and easily-parsed ways, and has various features for working with piped data. There are other command line tools for twitter which are also available, but most of them are not updated for the changes in twitter security settings. Twidge is available in the oneiric apt repositories, so if you are using Ubuntu 11.10 you just need to install Twidge using the install command. But if you are using any other version of Ubuntu, you need to manually add the repositories for Twidge. Twidge Setup will generate a URL for the authentication (see the below image), copy the URL and paste it into your browser, it will ask you to login with your login credentials, just login and it will generate an authentication code. For the detailed description for the twidge commands look inside Twidge man pages.